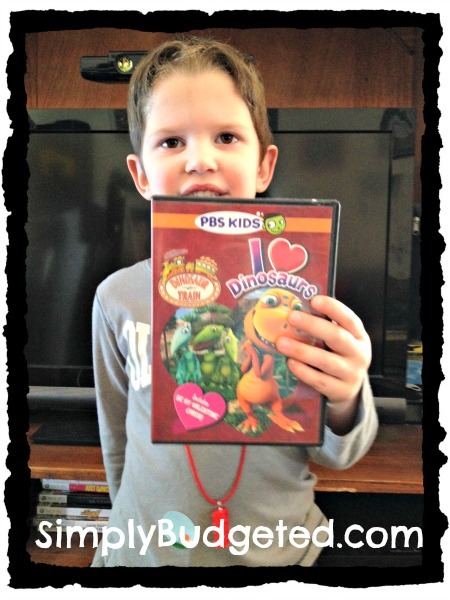 We are an excited partner in the review of Dinosaur Train: I Love Dinosaurs! Buddy and Tiny are featured on a GUM® twin pack toothbrush set with ultrasoft bristles that are gentle on young gums, a narrow, tapered head that is comfortable in small mouths, and a soft grip to provide more control. Available on amazon.com, ToysRUs.com and at gumbrand.com. Children ages 2-5 will love to read Buddy’s Teeth , a Little Golden Book from Random House Children’s Books that retells an episode of the series in which Buddy experiences something all kids go through—losing a tooth! Available wherever books are sold. Dinosaur Train: I Love Dinosaurs makes for an outstanding treat! Two of the stories included on this DVD are King Meets Crystal and Erma and the Conductor. In King Meets Crystal, King Cryolophosaurus is interested in becoming friends with Crystal, but he gets nervous when trying to talk to her. Tiny and Buddy help King overcome his nervousness. In Erma and the Conductor, the Pteranodon family is on the Dinosaur Train headed to the Big Pond to watch a meteor shower! Mr. Conductor stops to pick up Erma Eoraptor, his best friend. At the Big Pond, the Conductor and Erma are interrupted a few times while trying to be alone, but soon find the perfect spot back on the Train. As you can see, Matthew loves Dinosaur Train. He plays Dinosaur Train off the Roku on his own when he gets to pick what is on the TV but having new Dinosaur Train episodes is even better! Matthew loves the Dinosaur Train shows that go to the Big Pond so the second one on this DVD was a hit for him for sure. I love how Dinosaur Train provides a message of the kids working together and being inclusive in all of its shows. These are lessons that we aim to teach at home and for Matthew having dinosaur friends do this is a great reminder! We are also excited to add Buddy’s Teeth to our reading library at home. This book came right about Matthew’s dental check-up time so it was great timing to read it with him. Having the new Buddy toothbrush is a real bonus to teeth brushing time too! Do you have a Dinosaur Train fan at your house? 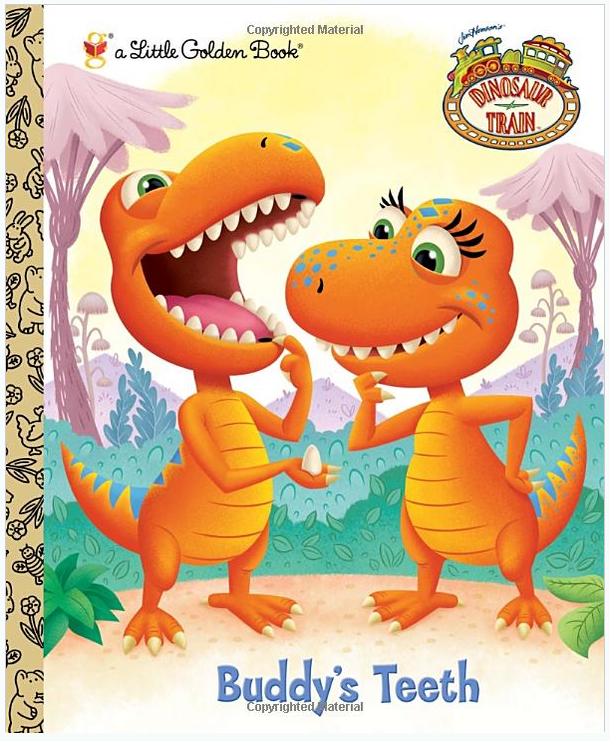 We are excited to offer a giveaway to our readers that includes the Buddy’s Teeth book, a set of toothbrushes, and the Dinosaur Train: I Love Dinosaurs DVD. Good Luck!! My youngest son would love it. this would be a nice change from mickey mouse clubhouse. My son would really love this, he enjoys watching the Dinosaur Train! 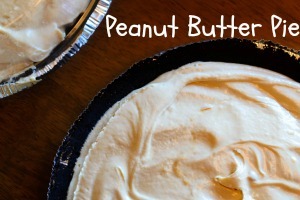 All of my grandchildren would love this! Our grandson would be thrilled, love dinosaurs. My 5 yo daughter would be absolutely thrilled to get this!!! I would love to win this for my son Kaiden he is almost 3 and he LOVES Dinosaur train!! 🙂 Thanks! 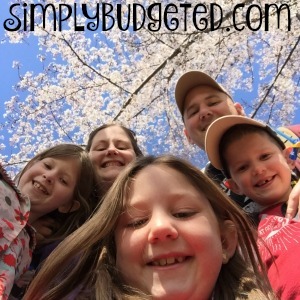 A very special 5 year old – Dorie. my nephew! I am sure he would love it! my 2 year old would love this prize! I will donate to charity. My youngest son would LOVE to get this prize pack. He loves dinosaur train! I would love to give this to my son. He loves this show. My youngest son would love this as he is a Dinosaur Train fan. My nephew would get this! I would give this to my grandson!!! My Grandson would flip for this Movie !! !